The number of older people diagnosed with cancer every year could rise by up to 80% to nearly a quarter of a million by 2035, according to new figures from Cancer Research UK. 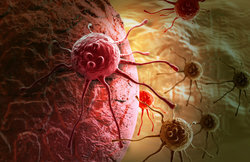 Every year around 130,000 people aged 75 and over in the UK develop cancer. By 2035 this is projected to rise to around 234,000, largely due to an ageing population. Despite cancer survival doubling over the last 40 years, it’s still lower among older people who are more likely to be diagnosed in an emergency and less likely to receive curative treatment. This highlights the urgent need for older patients, who are more likely to have multiple health conditions or need help from social care, to be given better support. In its report Advancing Care, Advancing Years: Improving cancer treatment and care for an ageing population published today, Cancer Research UK is calling on the health service to act now, to make sure they are prepared for the rising numbers of older patients with more complex needs. This includes ensuring staff have enough time to spend caring for patients, better assessments to help make the right decisions about the best treatments, and better evidence of how medication affects older patients. Rose Gray, Cancer Research UK’s policy manager said: “If we do nothing the disparity in care between older and younger cancer patients will only grow. It’s vital to address this if we want to realise our ambition of ensuring world-class treatment for everyone in the UK who is affected by cancer. “It’s also highly likely that this group will be the hardest hit by wider pressures facing the NHS, including severe workforce shortages. While the additional investment announced this week is welcome, it falls short of what is likely to be needed to truly transform the way that patients are cared for. Martin Ledwick, Cancer Research UK’s head information nurse said: “When elderly people have a lot of health problems and are taking a range of different medications it can affect what treatment they are able to receive. “Some older people with cancer might not be fit enough to have surgery and go through lengthy periods of chemotherapy and radiotherapy, but as no two patients are the same, there will be others who are. “That’s why it’s so important staff are well trained and resourced so they can assess older people properly and ensure they receive the right treatment, care and support specific to their individual needs."